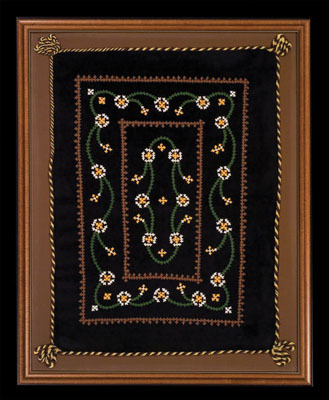 Armenian women have long used a complex embroidery pattern called marash to decorate household textiles like tablecloths, pillows, and comforters. When she was eleven, a broken leg kept Anahid Kazazian out of school for two months. She persuaded her mother to teach her the craft. As she describes, "We refer to it as gaghtnaker or 'secret needlework' because you can't tell how the pattern is made by looking at it - you have to be taught."